Black Sabbath’s new album, “13,” has debuted at #4 in Australia, giving the band their first top 10 in the country in 40 years. Bigger things are expected for the new Black Sabbath project in the United States, where industry sources are predicting the group are headed for their first US No. 1 album. According to Billboard, sources suggest "13" may sell over 120,000 copies by the end of the tracking week on Sunday, June 16. The new Billboard 200 chart's top 10 will be revealed on the morning of Wednesday, June 19. 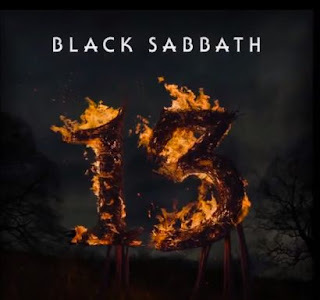 Produced by Rick Rubin, "13" is the band's first studio album with singer Ozzy Osbourne since 1978's "Never Say Die!"